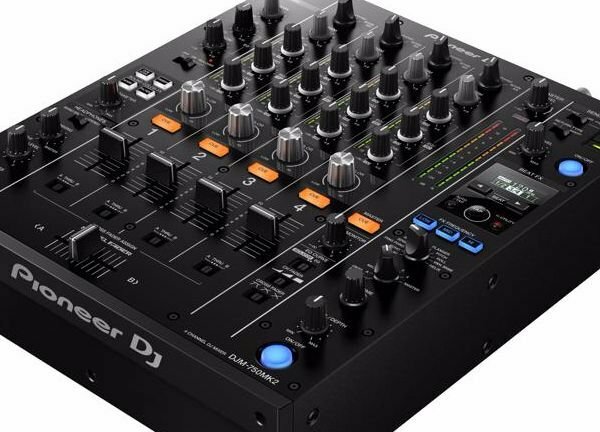 The Pioneer DJ DJM-750MK2 DJ mixer draws on design elements from Pioneer's acclaimed DJM-750MK2 mixer to deliver flexible, responsive performance potential. Like the Magvel crossfader, an amazingly smooth and accurate crossfader rated for 10 million movements — that's insanely durable. Vibrant Sound Color FX like Dub Echo, Sweep, Noise and Filter are ready to add excitement to your transitions, and the DJM-750MK2 conveniently offers a built-in stereo send and return for your external effects. 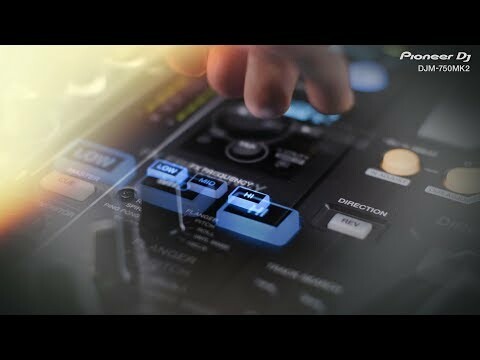 Complete with included licenses for rekordbox dj and rekordbox dvs software, you'll be ready to perform with your laptop and even connect CDJ and XDJ control surfaces with the Pioneer DJ DJM-750MK2 DJ mixer. The sound of the 4-channel DJM-750MK2 is so warm and organic, it's hard to believe you're not listening to vinyl on a top-quality hi-fi rig. Even the analog audio is clearer than you'd ever imagine, thanks to top-of-the-line preamp circuitry. With all of its added resolution and extraordinary sound quality, even DJing from your laptop via dual USB sound card connections (super handy when you're changing over between sets) sounds totally natural. 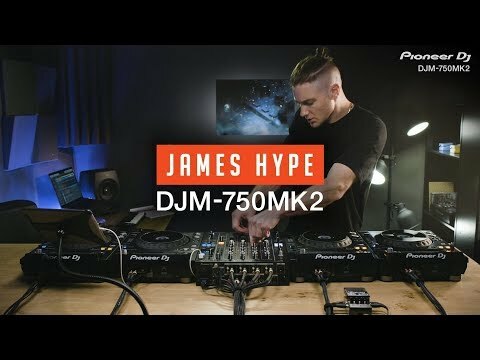 Sound Color FX, Beat FX, switchable EQs — you name it, the DJM-750MK2 delivers everything Sweetwater DJs geek out about in a mixer. Want to make some noise? Just reach for the built-in Sound Color FX, which includes dub echo, noise, killer sweeps, and more. The provided Beat FX also let you spice up your tracks with delay, modulation, and other dynamic effects. What's more, you can isolate frequencies when you apply effects, so if you just want to put some slap on the hats or phase the vocals it's super easy. Speaking of frequency controls, the DJM-750MK2 features Pioneer's amazing 3-band EQs on each channel, which allow you to switch between powerful +6dB to -26dB or minus-infinity Isolator modes. Another thing the DJs here at Sweetwater love about Pioneer's DJM-750MK2 is the freedom it gives you to hook up your gear however you like. Onboard, you'll find four sets of phono/line RCA inputs and a mic input, but that's just the beginning. A stereo send/return loop lets you expand your effects options, and you can use iOS effects and synthesizer apps via USB. Gold-plated terminals are standard issue on all of the DJM-750MK2's audio connections. Headphones:1 x 1/8", 1 x 1/4"